Business Idea or Joint Venture Opportunity for or the Piranha Team To Review? Thanks for your interest in our program and the possibility of teaming up on a future project. For consideration on a proposal, interview request, doing a joint venture, or other opportunity, please fill out the information below in detail. Once we receive a request, it will be reviewed by our internal review team within 30-45 days, and if it meets our criteria we will follow up with you and direct you to the next steps. Any proposals submitted incomplete or not as directed will not be reviewed and it’s entirely possible the “bad-form-trolls” will intercept it and likely eat it! PLEASE NOTE: Although there are many great proposals submitted to us, not all of them will meet our criteria. Your responses are for our internal use only. One of the best recommendations we can give you is to participate in one of the higher level mastermind programs we offer. Details will follow. Thanks for taking the time to submit your proposal! P.P.S. Click here to access Joe’s Magic Rapport Formula! Your Best Contact Phone Number? Please outline for us in 1-3 sentences, what you’d like to propose to Piranha Marketing or Joe? 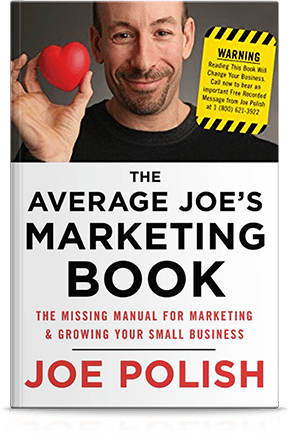 What programs have you listened to or participated in (of Joe Polish or Piranha Marketing)? What outside education programs/masterminds/coaching programs/ have you participated in? Who is one of your clients that may have also worked with Joe at some point and what they likely say if they sent Joe a review of you? Importance: What's the biggest difference this will make? Ideal outcome: what does the project completed look like? Best result: if you do take action, what is the best result? Worst result: if you do not take action, what is the worst result? What and how can this help our company/Joe?